WooCommerce Protected Categories is a WordPress plugin that allows you to create private, hidden product areas within a WooCommerce online shop. It is officially certified as being WPML compatible. This means that you can use the world leading WPML multilingual plugin to translate the plugin into different languages. Please make sure the following plugins and options are activated. Install and activate the core WPML plugin (WPML Multilingual CMS) first, followed by the other WPML plugins listed above. Install WooCommerce, run the Setup Wizard and set up your store, including adding the products that you plan to protect using WooCommerce Password Protected Categories. 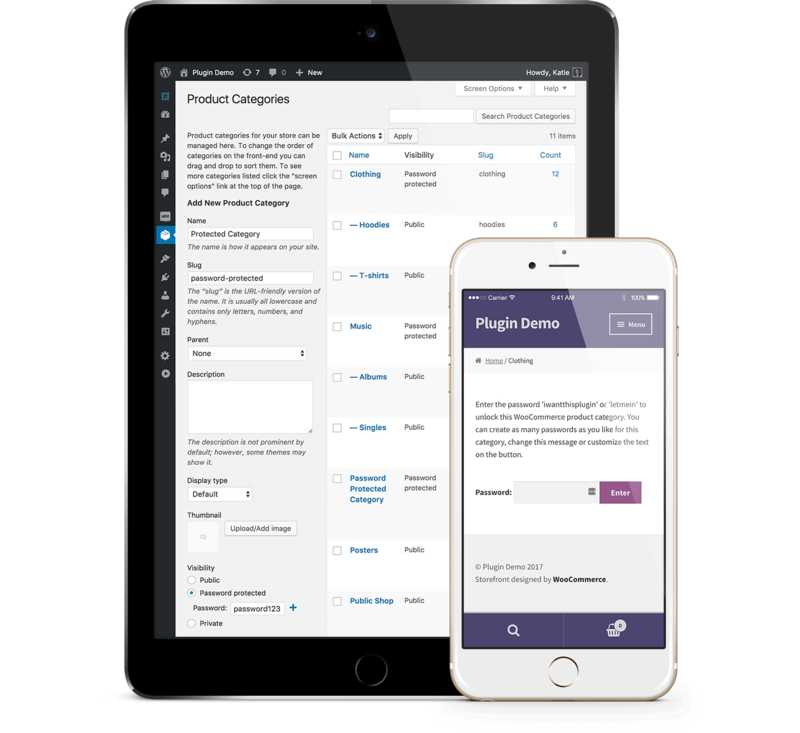 Install WooCommerce Multilingual, run the Setup Wizard, and add translations for all your products and categories. This will take you to a page listing all the categories in the other language. Replace the category names and slugs with translations for the new language. Use WPML’s string translation to find the strings that need translating and add the translations via WPML. In WPML > Theme and plugins localization, select either ‘Translate themes and plugins using WPML’s String Translation only (don’t load .mo files)’ or ‘Translate themes and plugins using WPML’s String Translation and always load .mo files as backup’. Create your own .po and .mo files and upload them to the site. In WPML > Theme and plugins localization, select either ‘Translate themes and plugins using WPML’s String Translation and always load .mo files as backup’ or ‘ Don’t use String Translation to translate themes and plugins’. Note: If you are using the options in the plugin to restrict categories based on logged in users or roles, or are using the Private categories option, then no extra setup is required. This is because people will login using the WordPress login page which is translated by WPML, and you won’t be using the password login form that comes with our plugin.